Despite only being half-Doom, this Altars Of Grief/Nachtterror split impresses. 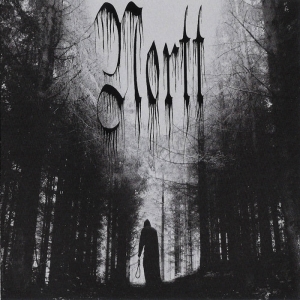 About six months ago, we reviewed Altars Of Grief's debut release 'This Shameful Burden', and in a subsequent interview learned that this was to be the next project: a 10" split with fellow Saskatchewan act Nachtterror through Canada's Hypnotic Dirge label. A limited run of 300 physical copies in a doublesided cover - 100 going to each of the bands and 100 to the label webstore - with free stickers from HDR, parallels the earlier-in-2015 7" Lycanthia/Atten Ash split that marked HDR's first venture into vinyl. It's supplied with a free download of the (separately purchasable) digital album version, which includes an extra 3 tracks - covering 18 minutes of music - that effectively take it from an EP to a full-length release. Aside from the local connection, there's a limited overlap between the bands: Nachtterror, up first, are essentially pretty much a pure Black Metal oufit that occasionally drop into a slower, doomy atmosphere. So, whilst parts of the track 'Upon Ashen Shores' wouldn't, say, sound completely out of place on something by Woods Of Ypres, most of the remainder of their contribution bounds along with a pace, enthusiasm and fairly eclectic spread of instruments which is far more reminiscent of Progressive/Black collective Hortus Animae. That's a compliment, in that I do rate the creativity and sound of the Italian veterans very highly, but it would be a stretch to give it any sort of realistic Doom label. Still, if you also don't flinch too hard at mentions of bands like Cemetary or Nebular Moon, you'll find some very decent symphonically-inclined tunes here, with Gothic touches in the melody lines and use of (synthesized) strings plus piano. With three vocalists contributing different shades of clean and extreme voice, there's a good spread of variety narrating the busy bombast that you'd expect to run through such compositions, making it a listenable and entertaining package. The aforementioned '...Ashen Shores' will probably hold most appeal for doomsters, but the pick of the tracks, for me, would be the long, evolving, grandiose stomp of the bonus offering 'Belial'. Altars Of Grief take over for the second side, with something that could almost be a continuation, as it finds them indulging their most blackened traits in a mid-tempo atmospheric piece that, once again, could slot in with a (more latterday) Woods Of Ypres. Unlike Nachtterror, though, the pace seems more incidental, and the sections of rapid drum kicks don't prevent much of 'In Dying Light' from maintaining a solemn heaviness that lingers, forlorn and desolate, within the borders of Doom. The trademark vocal rasps, emotive clean interjections, and equal parts furious-and-anguished Post-Metal-ish howls of Damian Smith, with Erik Labossiere's backing, make an expected welcome return, between them carrying a lot of the genuine feeling of grief and misery that characterises Altars Of Grief's music. Those may be the focus, when present, but there's still plenty happening with the guitars and bass, roaming from quiet acoustic moments to satisfyingly crunching riffs, plus some melancholy keyboards. Happily, my minor niggle about the slightly obtrusive drums on the debut album seems to have been fixed entirely, improving the presence of the percussion and giving a nicely balanced soundstage all round. That's perhaps most noticeable on the ever-changing dynamism of 'Your Heaven', whose cold hurtfulness is my personal highlight of the album, though not the doomiest. That particular honour belongs to the bonus cover of Akira Yamaoka's 'Room Of Angel', here given a makeover of full Death/Doom rawness. I'd still take the original version, with it's subtler intonations and Mary Elizabeth McGlynn's wistful vocals, but this does a good job of showing an alternative - more brutally resentful - aspect which remains true to the spirit of the Silent Hill games for which it was composed. So, something of a mixed bag, loosely connected by shared ground in influences, living up to the label slogan of 'An Auditory Palette For The Estranged And Eclectic'. 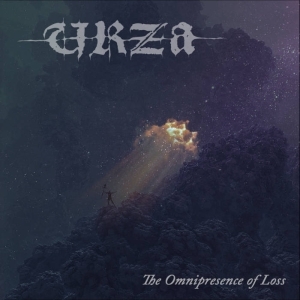 There's definitely most to be unearthed for those who really appreciate melodic Black Metal, and it will prove hard going if that's a definite no-go genre. 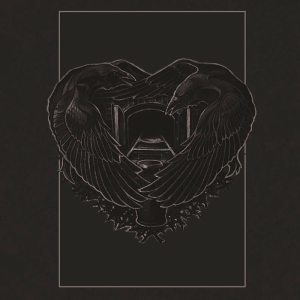 For everyone in between, well, it's certainly worth a listen, even if only to the 'Doom side' to catch up with where Altars Of Grief have developed and matured since their effective debut (though it'd be a shame not to also take a peek at Nachtterror while you're there). It's a tough call, but bear in mind the score is assessing 'Of Ash And Dying Light' in terms of its value as a Doom album: taken as a purely Metal release, it would deserve more.